Skin quality might just be the most attractive feature anyone has. After all, nearly half of respondents agree that the most attractive part of the body is the face. Thankfully, improving skin quality is a fairly easy proposition, with skin rejuvenation techniques being possibly the least invasive cosmetic treatments there are--even less invasive than Botox or filler, for example, which necessitate injectables that stay in your body. But treatment techniques like Microneedling can have huge effects without ever actually 'entering' your body--not to mention the short treatment sessions to the tune of 15 through 30 minutes. 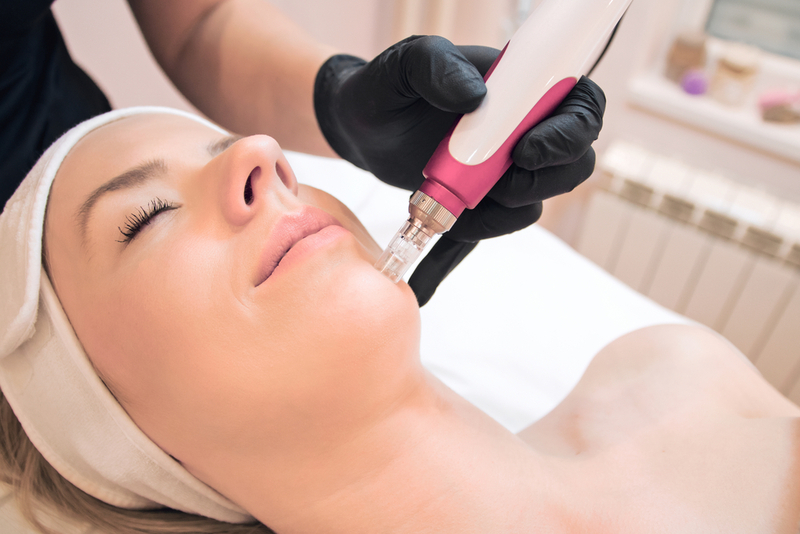 But what does Microneedling actually do? As the name implies, small needles--very small, the term 'micro' isn't just hot air--puncture your skin. This puncturing kickstarts your body's healing process, and collagen and elastin, which normally stop production after the age of 25, are synthesized. This does just about everything for skin quality. It helps with wrinkles. It reduces acne scarring. It lightens hyperpigmentation, and improves the texture of your skin in general. It gives you that glow that everyone loves to see. And amazingly, it does all this in the span of a lunch break. The only downtime you'll see afterward, too, is some redness of the skin for a day or so. It gets even better when you add in the factor of Platelet Rich Plasma (PRP). Why? Because PRP is loaded with growth factor--think of platelets which are used to clot blood. If Microneedling hacks your body's healing process, then PRP takes that to the next level. The Microneedling opens channels for the PRP to be absorbed, and the PRP heightens the healing process. The two end up working together perfectly. Want to know more about Microneedling and PRP? Schedule a consultation at Hagerstown Dermatology today.